Updated Thursday October 12, 2017 by Robert Dungan. Every Hannaford Helps Bag sold at the Niskayuna Hannaford store (3333 Consaul Road, Niskayuna NY) will generate a $1 donation during the month of October to support Niskayuna Youth Football! 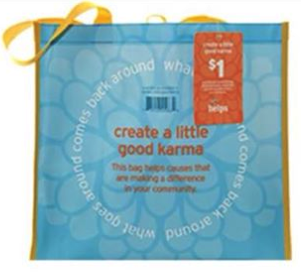 Hannaford Helps bags with the “Good Karma” message can be found on the reusable bag rack and at various registers.